As I briefly touched on in my last post, there were some creative goals I had for 2016 that I failed to meet. 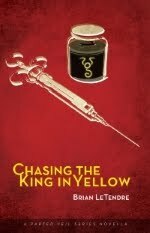 I wrote and released some short stories I am very proud of, and even collected some of them for my first anthology. 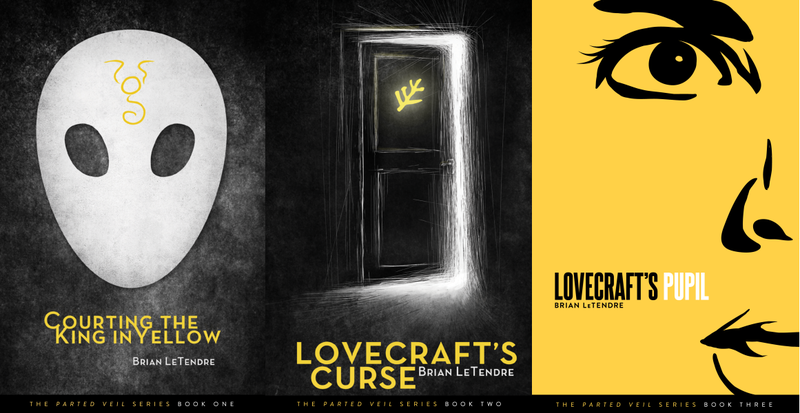 But I did not get the next book in the Parted Veil series out, and two projects Jolene and I wrote did not release this year like we had originally planned. And while I think all three of those projects will ultimately be better off for the delays when they do come out, I need to be better in 2017. I think one of the primary reasons for a lackluster output in 2016 was a lack of focus. I spent a lot of time talking to people about writing, and discussing projects I was working on. I spent a lot of time following the happenings of the writing world on social media. But I didn't spend enough time creating. And let's be honest, 2016 was a rough year. It's hard not to be distracted by what's going on in the world and in our country right now. The ever-increasing depressing and disturbing news certainly affected my creativity this past year. In short, I need to put my focus back where it needs to be--on getting projects finished and stories out into the world. Writer Monica Valentinelli has created a 2017 challenge for herself and anyone else who wants to participate. It's called Make Art Not War, and it's about having a positive impact on the world through the creation of art. The rules the Monica has laid out for this challenge really speak to me. Specifically, the rules about making a commitment to writing every day, and reducing the time you spend on social media. So, I'm committing to writing for at least an hour a day, and limiting my social media check-ins to twice a week. I will be blogging about my progress on this challenge here on the site, and when I do check in on social media, I'll be using the #MakeArtNotWar2017 hashtag along with other participants. I want to thank Monica for providing some much-needed inspiration heading into 2017. I have big plans, and it's going to take a lot of hard work to get there. If you're interested in participating, you can find the rules over at Monica's website right here. Let me know if you are taking up the challenge, and we can support each other as we go. 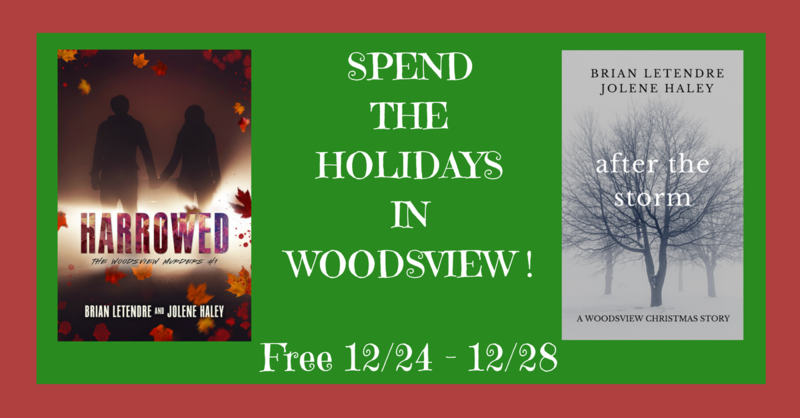 Come Spend the Holidays in Woodsview, Massachusetts! Earlier this week, Jolene and I released a new short story that takes place after the events of our novel Harrowed. It's called "After the Storm," and it's a Christmas story about friendship featuring our two main characters. The story is currently available to read on Wattpad for free. We were excited to give that present to Woodsview fans who have enjoyed Harrowed and are patiently waiting for Haunted (which is coming in early 2017). But then we got to thinking--what about people who haven't read Harrowed? How would they enjoy the Christmas story if they've never read the story that came before it? Well, it just so happens that we had some promotional days left on Amazon, so we decided to make both Harrowed and "After the Storm" free from now until December 28th. 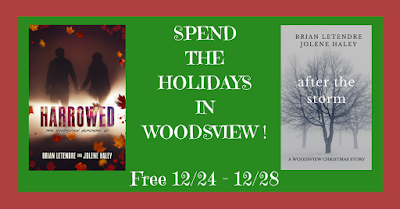 We want everyone to spend a little time in Woodsview over the holidays. Click here to get Harrowed on Amazon Kindle for free! 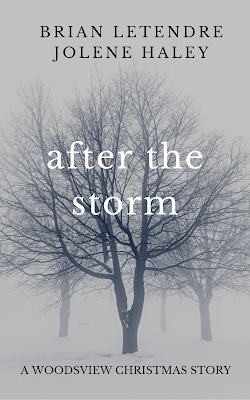 Click here to get "After the Storm" on Amazon Kindle for free! Woodsview fans, we have a surprise for you today. But first, we want to say thank you. Thank you for the tremendous amount of love you have shown Harrowed, and for your patience as we get ready to bring Haunted to you. We care about these characters so much, and to see them resonate with so many of you has been more rewarding than we could possibly have imagined. And so today, we come bearing a gift, in the form of a Christmas story. It's called After the Storm, and it takes place just eight weeks after the events of Harrowed. Two months ago, Avery Blair and her best friend Quinn Grady survived a murderous rampage by a psychotic killer dubbed the Woodsview Harvester. The murders devastated the town and both Avery and Quinn lost more than their friends to the Harvester. On Christmas Eve, Avery and Quinn go to visit their friends and realize that while they've both lost pieces of themselves, their friendship is what will help them heal. This is a very personal story for us, for a variety of reasons. It's not a horror story, it's a story about friendship. It's a story about Avery and Quinn, and the people they care about. And hopefully as you read it, you'll see how much we care about them as well. You can read After the Storm for free right now on Wattpad. It's our Christmas gift to you. Click here to read After the Storm: A Woodsview Christmas Story on Wattpad now! 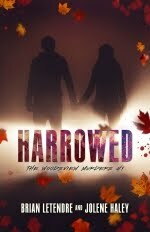 We've also put the story up on Amazon for $0.99, so if you'd rather have it sitting next to your digital copy of Harrowed, or you just want to put a few quarters in the Woodsview wishing well, you can do that, too. Click here to get After the Storm: A Woodsview Christmas Story on Amazon Kindle. And you can add the story to your Goodreads shelf right here! So once again, thank you all so much for your support. Have a safe and wonderful holiday season, and stay tuned for release info for Haunted early next year. December 2016: Updates, Updates, Updates! We are almost mid-way through December as I type this, and that is scary because it feels like mid-October in my head (although to be fair, it's pretty much always October in my head). I just wanted to check in prior to the holidays and give a few updates on what I've been working on, as I haven't been so great about that lately. 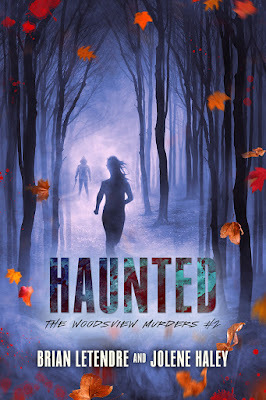 The Woodsview Murders--While Jolene and I had hoped to get Haunted (book two) out before Halloween, we are still wrapping up edits and will have word on a new release date soon. In the meantime, there is a treat coming for Woodsview fans in the form of a short story that I will have details about very, very soon. 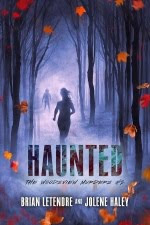 This is our little gift to people who have been so patient as we make sure that Haunted gets the love it deserves before we share it with you. 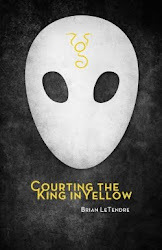 The Parted Veil--I'm currently editing a novella that is a follow-up to my first book, Courting the King in Yellow. It features that cast and a new character that will become part of the larger story that connects all of the books. You'll see this in the first half of 2017. 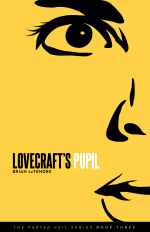 I've also written the first draft of Lovecraft's Trial, the next full book in the Parted Veil series. If all goes well, that will be out in the second half of 2017. And if you've been craving some new Parted Veil content, I recently wrote a short story called "What Crosses Over" for Jolene's Haunted Hotel event. The story ties into the world of the Parted veil and introduces two new characters--the Delacroix sisters. 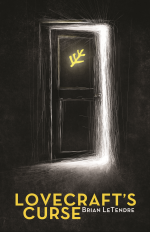 I LOVE this story and you can read it for free right now, right here! 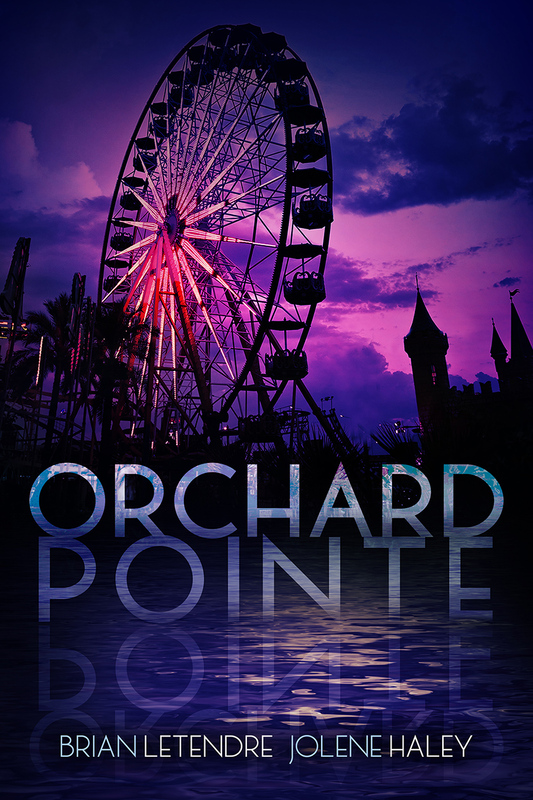 Orchard Pointe--The self-titled first book in the Orchard Pointe series is currently in edits and will be out in the first half of 2017. 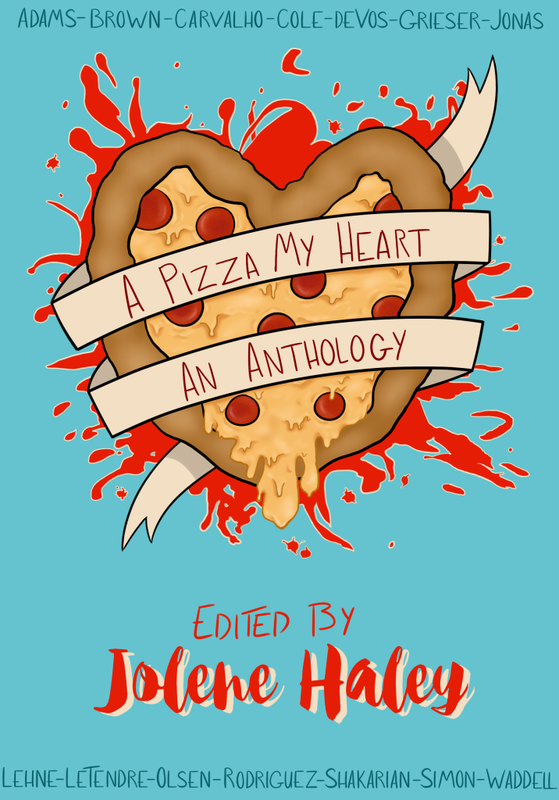 Jolene and I are also working on a novella featuring one of the characters, and you'll be able to read an Orchard Pointe short story I wrote in the upcoming A Pizza My Heart anthology, which is coming on February 9th. So, as the end of the year draws near, I'm actually very, very excited. As much as I would have loved to have at least half of the aforementioned projects arrive in 2016, next year is shaping up to be a big year for releases. Jolene and I have a few other projects we're already working on together as well, and we'll talk more about them in the New Year. There's also a project I can't talk about yet that I am so ridiculously excited to tell you about. Hopefully soon. Anyway, that's the latest on what's going on with my writing. In case you didn't know, I also have a few podcasts out there that you can check out if you want to hear me blather on about stuff I love. 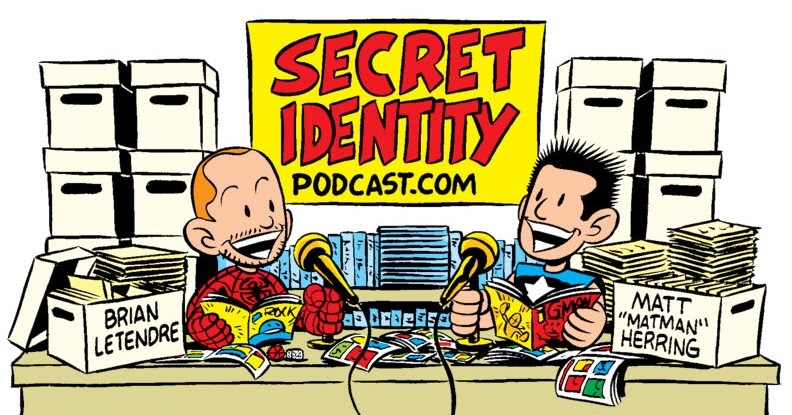 Secret Identity is the long-running comics podcast I do with my pal Matt Herring. 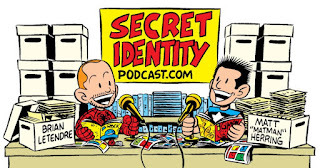 We just posted our 754th episode, in which I start crying while reading a wonderful story about the impact Supergirl and the Alex Danvers storyline is having. You can listen here. 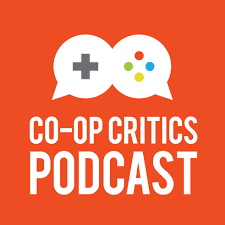 Co-Op Critics is a gaming podcast that my pal Nick Merritt and I do where we talk about a particular game or series each episode. Our latest episode was about the Nintendo Switch announcement. You can listen here. 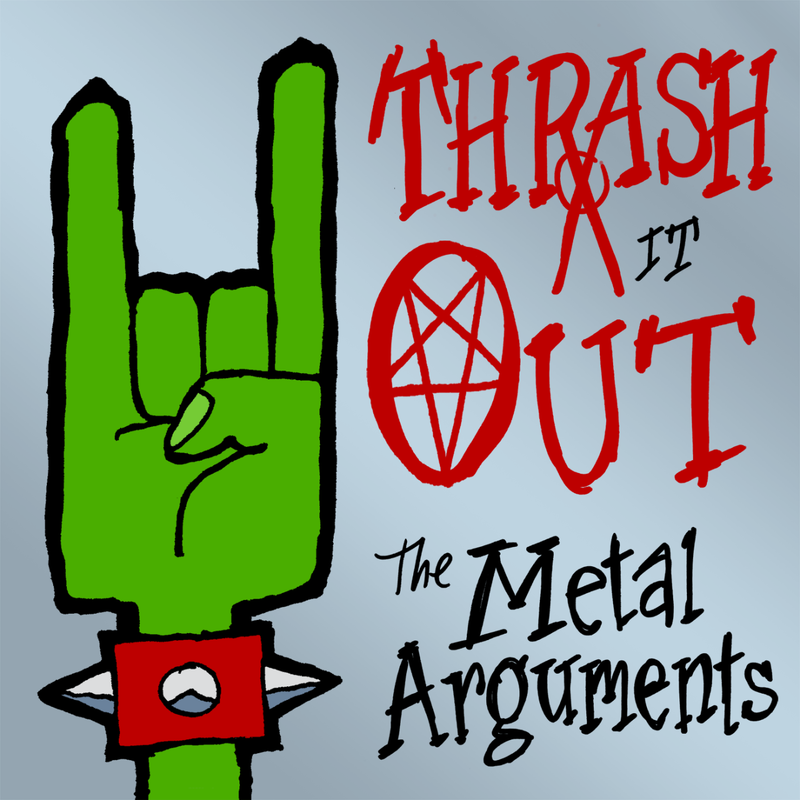 Thrash It Out is a heavy metal podcast I do with my pal Antony Johnston, where we discuss one heavy metal album each episode. 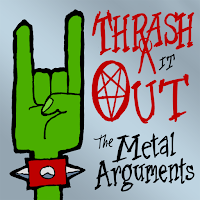 Our latest episode featured Amon Amarth's JOMSVIKING album. You can listen here. If you've taken time to read or listen to anything I've made this year, THANK YOU. Seriously, we are all so busy that our free time is extremely limited. The fact that anyone would spend any of their money or free time to check out something I created blows my mind. Have a wonderful holiday season--be safe, enjoy your family and friends, and take some time to relax. So, NaNo 2016 is over, and for the first time in all my years of doing NaNoWriMo, I failed to reach the 50K word mark. My downfall this year was not focusing on one project. I had written about my rebellious plan earlier last month, and even then I wasn't sure it was the right approach to a NaNo event for me. Turns out I was right. Whether that was a self-fulfilling prophecy for me or not, I'm not sure. And while not hitting 50K isn't the end of the world, it made me realize that for NaNo events at least, I need to stay focused on one project. Lesson learned. Now, onto the positives! The group of writing pals I have and the larger NaNo community were just as amazing and fun to hang out with online as every NaNo event I've participated in. They are the reason I keep coming back, and many of my current writer friends I met through NaNo one way or another. I am so thankful for them, and they will probably never realize how much. I also made significant progress on two of the three projects I was working on. The Orchard Pointe novella Jolene and I are writing is off to a great start, and we actually started another project that sort of jumped from our "stories to do one day" pile to "this needs to happen now" pile. That has been a ton of fun. Then again, writing with Jolene is always fun. I did not make as much progress on my Parted Veil book edits as I wold have liked. This was another lesson learned for me. I have a tough time switching between writing and editing. I'll have to plan accordingly in the future. So overall, I was productive over the month of November, but not successful in my NaNoWriMo goal. I'll be participating in both Camp NaNo events (in April and July) over the coming months, and I will take these lessons with me. How did NaNoWriMo 2016 go for you? Let me know in the comments!